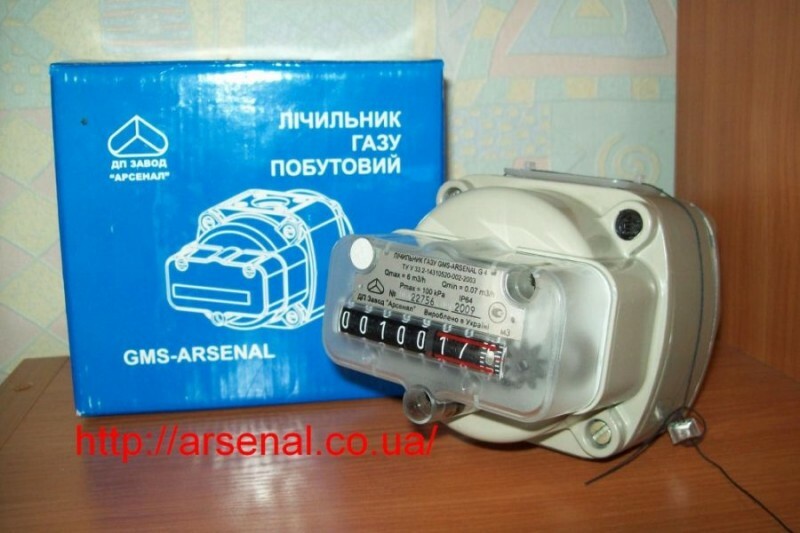 Household counters of gas a GMS Arsenal are intended for measurement of natural gas volume and other negressivny gases with a density not less than 0,67 kg/cubic meter. Counters use a GMS Arsenal in the household sphere for commercial accounting. Many residents of apartment houses in need of installation of the counter of gas face that gas meters of membrane type which which suggest them to establish very bulky in apartments and are inconvenient therefore it is necessary to think out different ways of how to hide them under furniture or otherwise (that is not absolutely safe). There is rather simple decision: install much the smaller and compact counter of the rotor GMS-ARSENAL type. Considering small leading dimensions of the counter — he will well fit into an interior of your kitchen, it is especially actual for city apartments. The operation principle of the counter is based on rotation of two vosmerkoobrazny rotors under the influence of pressure difference on entrance and output parts of the measuring camera. At a constant gas flow rotors rotate with constant angular velocity, using the measured volume limited to walls and rotors for each turn. Transfer of rotation of rotors on the calculating mechanism is carried out in the contactless way by means of the magnetic clutch. - + 1,5% in the range of expenses of 0,05 Qmax <Q <Qmax. The mounting kit for mounting of the GMS-Arsenal counter is included into completeness of delivery. 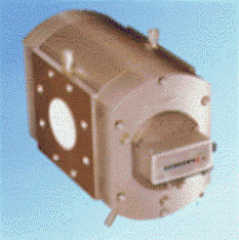 If you want to replace the RL counter with GMS-Arsenal, you can be necessary in addition — a mounting insert of 8 mm. Whether the mounting insert of 8 mm is necessary for you for definition of that measure height between upper and lower the union on the gas pipeline if at you this distance of 100 mm (10 cm), then such insert will be necessary for you. Unbelievable price on Household counter of gas in Kiev (Ukraine) company Zavod Arsenal, GP.